Donglang in Sikkim sector is near a strategic location known as the 'Chicken's Neck' which connects the Northeast with the area west of Siliguri in West Bengal and by extension with the rest of India. Beijing: China today said the construction of a road in Donglang in the Sikkim sector is "legitimate". "Donglang is part of China's territory. This is indisputable. The Donglang area belonged to China since ancient times and it doesn't belong to Bhutan," Chinese Foreign Ministry spokesman Lu Kang told reporters in Beijing. Donglang is near a strategic location known as the "Chicken's Neck" which connects the Northeast with the area west of Siliguri in West Bengal and by extension with the rest of India. "India wants to raise an issue with this part. I should say it doesn't belong to Bhutan, nor it belongs to India. So we have complete legal basis for this. Chinese construction of the road project is legitimate and normal action on its territory. No other country has the right to interfere," Mr Kang said. He said Bhutan is a universally recognised sovereign country. "Hope countries can respect the sovereignty of the country. The China-Bhutan boundary is not delineated, no third party should interfere in this matter and make irresponsible remarks or actions," the Chinese foreign ministry spokesperson said. "If any third party, out of hidden agenda, interferes, it is disrespect of the sovereignty of Bhutan. We don't want to see this as Bhutan is a country entitled to sovereignty by the international community," Mr Kang said. He said China opened the Nathu La pass in the Sikkim sector in 2015 for Indian pilgrims to visit Mount Kailash because according to China, the Sikkim part of the India-China boundary is settled. "For a long time in the interest of India-China relations, China provided great conveniences to the Indian pilgrims. Based on the consensus between the two country leaders, and on the fact that the Sikkim sector boundary is delineated and recognised by two countries, the Chinese side in 2015 opened the Nathu La pass for Indian pilgrims," he said. For two years it worked well and in fact this year also the Chinese authorities prepared for the reception of Indian pilgrims and informed the Indian side about it, he said. "Now the suspension of the same (blocking Nathu La route) is an emergency response to the situation there. I want to stress that the resumption of pilgrims pass requires necessary atmosphere and conditions. So the liability of the same totally lies on Indian side and when it will be reopened depends on when or whether the Indian side will correct its errors," Mr Kang said. On a question whether there was any progress in the talks between Indian and Chinese officials over the issue, Mr Kang said, "The Indian troops crossed the boundary at the Sikkim side to the Chinese territory. This is different to what was before in India-China boundary. China has made solemn representations against the same. India should respect the sovereignty and territorial integrity of China." Mr Kang last night had justified the move to construct a road in the Sikkim sector, saying that the area is "undoubtedly" located on its side of the border according to the 1890 Sino-British Treaty on Sikkim. "According to the treaty, 'zhe' is the ancient name of Sikkim," Mr Kang said. 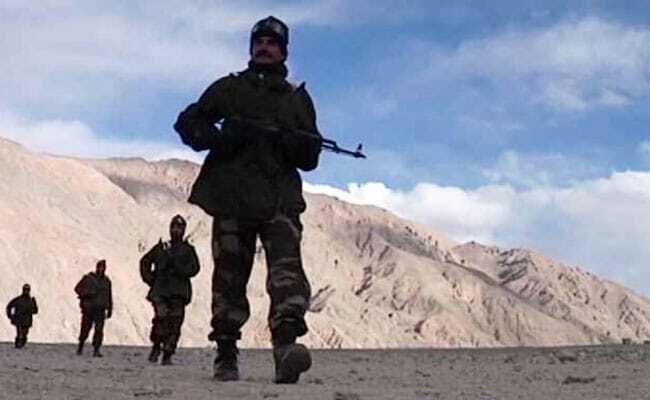 "As per this treaty, the area over which the Indian Army has raised objection is undoubtedly located on the Chinese side of the border," he said yesterday. China had yesterday lodged a protest with India over the alleged "crossing of boundary" by its troops in the Sikkim sector, and demanded their immediate withdrawal.